Though measles was thought to have been eliminated in the year 2000, the illness has come back with a vengeance as unvaccinated individuals come down with the sickness. So far this year, Washington State alone has averaged one new case of the measles per day. An estimated 41 out of the 47 cases have occurred in unvaccinated individuals, among children who were too young to receive the vaccine or among those who have managed to shirk the law. New York State has reported more than 209 cases since October of 2018, with the hub of the outbreak centered downstate toward Long Island and New Jersey. 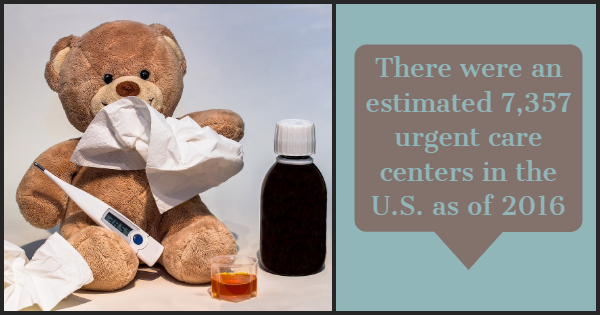 Here are some of the most common measles facts and symptoms that should prompt you to visit one of the 7,357 urgent care centers present throughout the United States. Measles is often difficult to pin down because its initial symptoms look like those of a common cold. On top of that, you might not even realize you’ve contracted measles until a couple of weeks later. Measles has an incubation period of 10 to 14 days following infection It often starts with a fever, cough, sore throat, and runny nose. Even some urgent care centers may misdiagnose the illness if you’ve obtained the measles vaccine. Within three to five days following the initial symptoms, you may experience conjunctivitis, small white spots on the throat known as Koplik’s spots, and a whole-body skin rash consisting of large, reddish blotches. The rash will often start on the face before spreading to other areas of the body. These are the primary symptoms that are associated with a measles infection. Measles is a highly contagious virus that spreads easily through bodily fluids between people. These fluids can be spread through tissues, kissing, and other forms of contact, however, the measles virus can exist on a number of surfaces. As such, you may not even need to make contact with an infected person to contract the illness. Simply touch a contaminated surface and eat a hearty meal, and you may contract the virus. Luckily, the communicable period of the virus only lasts around eight days. This occurs about four days before the rash appears and the following four days that follow the rash’s initial appearance. Should you suspect that you or a loved one is infected with the measles virus, contact your local urgent care centers promptly. These facilities are trained to handle such health crises and will be able to give you the primary care you deserve. Rely on the doctors and medical professionals at Care Station Medical Group for more information on the measles vaccine and how to combat the illness.